This Baden Rd penthouse is on the market for $10 million and is owned by former Woolworths chairman Paul Simons. 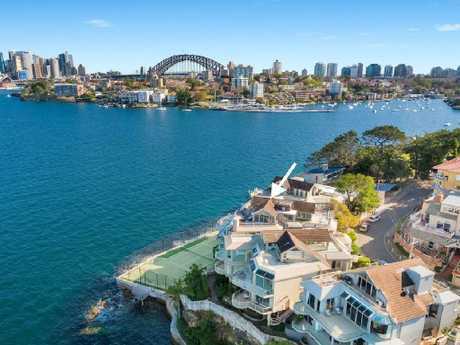 THIS Kurraba Point property might just be the one for you if you don't have the budget for Bill Wavish's $35 million home. 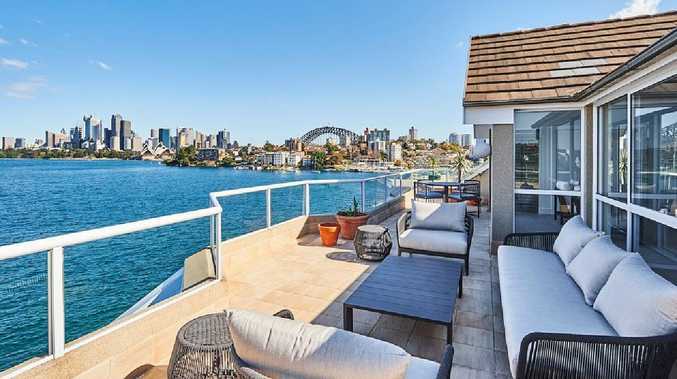 Only two doors down from it, this $10 million penthouse is also owned by another former Woolworths boss. Paul Simons has listed his five-bedroom dual-storey residence through Croll Real Estate agent Andrew Croll and Sydney Sotheby's International Realty's Harriet France. Simons joined Woolworths in 1954 as a trainee manager, before the becoming director of the supermarket chain in 1972. 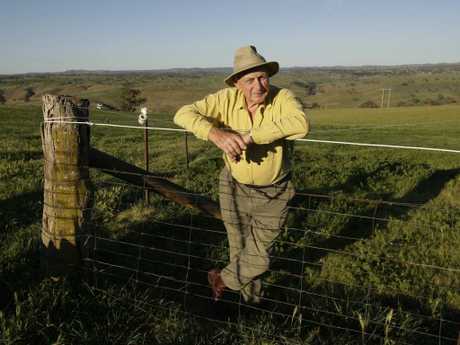 Former Woolworths executive chairman Paul Simons at his property near Yass has owned the property since 1995. He later retired from Woolworths as Chairman of the Woolworths board in 1995. Mr Simons has lived at the property for more than 20 years. He also owns a farm called Euralie near Yass. Mr Croll said the property was one of the best on the lower north shore. 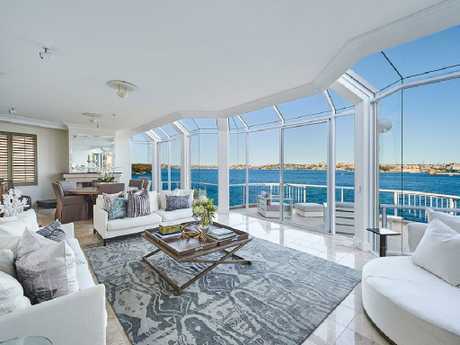 "You cannot find a better positioned apartment/townhouse on the north side of the harbour," he said. Ms France said there had been good interest from local and offshore buyers from the USA and China. "The iconic views and being right on the harbour has appealed to them," she said. Located at Baden House, the residence is part of a Strata complex, which surrounds a harbourside tennis court. "I'd say the property is the pick of the eight as it looks straight at the Opera House and Harbour Bridge," she said. Most rooms in the apartment look out to the harbour. It is scheduled to go under the hammer on Saturday, September 22 at 12.30pm. 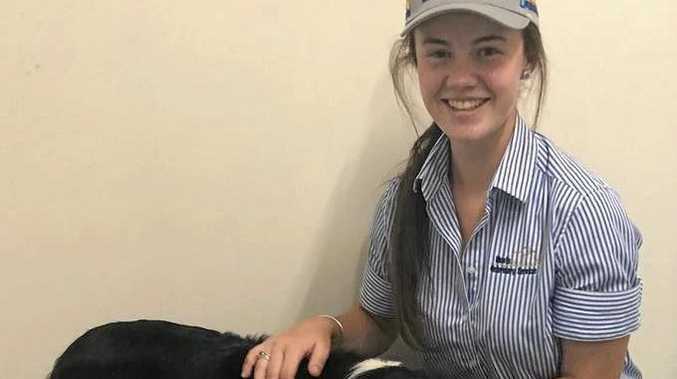 With postcard views, it will come as no surprise that Baden Rd is tightly held with only three sales recorded on the street since 2015, according to CoreLogic. Baden House is a 500m walk to the Kurraba Point Wharf, which offers ferry services to the city. 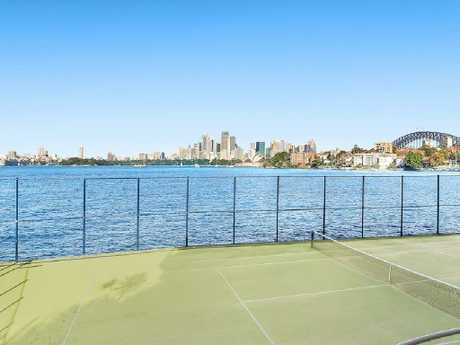 The Baden House complex includes a tennis court which feels like you are right on the harbour.